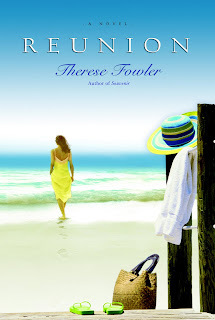 Therese Fowler’s Reunion examines the secrets many of us carry and how they can direct our lives and decisions. While some could consider this a light read, it deals with a number of deep issues, including teen pregnancy. Harmony Blue Kucharski/Reynolds is a young girl with a deep crush on a junior professor and son to her boss, Mitch Forrester. After a whirlwind romance, Mitch breaks her young heart, and she embarks on a destructive path that ultimately leads her to a decision that must be kept secret after her career begins to take off. Two decades later, fate brings them back together in Key West, Florida, and Blue helps Mitch with his pet video project about writer’s like Hemingway. Blue is a complex character floundering in her decisions and striving to find true happiness, and Mitch has tried all kinds of happiness, but has been unable to patch things up with his only son. Blue’s mother, Nancy, is an aging hippie still looking for love, and her sister has found a family life she can be proud of, though she still seems to have a hard time dealing with her sister’s success as TV personality–much like Oprah in Chicago. Fowler’s writing is down-to-Earth and captivating. The characters pop from the page. While there are multiple story lines in this novel, Fowler weaves them well and transitions seamlessly between them. Although this book could be considered chicklit or women’s fiction, there is much more beneath the surface; all readers have to do is scratch the surface. Thanks to Pump up Your Book Promotion for providing Savvy Verse & Wit with an opportunity to review this book and be part of the virtual blog tour. Check below to find out about the International giveaway. Therese Fowler has believed in the magic of a good story since she learned to read at the age of four. At age thirty, as a newly single parent, she put herself into college, earning a degree in sociology (and finding her real Mr. Right) before deciding to scratch her longtime fiction-writing itch. That led to an MFA in creative writing, and the composition of stories that explore the nature of our families, our culture, our mistakes, and our desires. 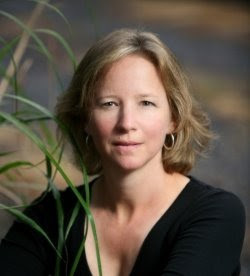 The author of two novels, with a third scheduled for 2010, Therese lives in Wake Forest, NC, with her supportive husband and sons, and two largely indifferent cats. You can visit her website or her blog. 1. Leave a comment on this post about why you’d like to read this book. 2. Leave a comment on the guest post, here, for a second entry. 3. Follow this blog, and let me know; if you follow, let me know that too. 4. Tweet, Facebook, or blog about the giveaway and leave a comment here. Deadline is June 4, 2009, 11:59 PM EST. Don’t Forget About These Great Giveaways! 1 Signed Copy of The Last Prince of the Mexican Empire by C.M. Mayo, here. Deadline is May 30, 2009, 11:59PM EST. 3 copies of Mating Rituals of the North American WASP by Lauren Lipton, here; Deadline is June 3, 2009, 11:59 PM EST.